The Northern Education Trust was originally set up as a separate non-profit charity to sponsor academies by Northern Education in 2012. The Trust now operate 20 academies consisting of 10 primary and 10 secondary schools across the north of England including Blyth, Newcastle, Barnsley and across the Pennines to Bolton. Previously the Trust were using a combination of council and in-house provision. They wanted a new catering service which would provide quality fresh food and ensure that their catering staff received comprehensive training in all legislative regulations as well as benefiting from continuous professional development. The Trust had a core objective of achieving both an improved quality of service offer and to make financial savings including the generation of capital investment to improve the overall student and staff experience. 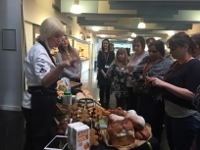 The Trust opted to run a mini-competition using the CPC’s previous Outsourced Catering Framework and engaged Tenet’s Specialist Catering Advisor, Martin Angell to manage the exercise on their behalf. There was a total of 5 catering suppliers bidding for the contract. After completing a full evaluation of all the tenders received, which included the commercial offer combined with qualitative assessment and a presentation, the Trust awarded to Chartwells. Although still in the initial stages of implementation, the Trust is already confident that by using the CPC Framework, they will eliminate a considerable deficit on the catering service budget, turning this around to show a considerable profitable return. The Trust are delighted with the level of efficiency generated, including the Trust receiving capital investment across their Schools which is in excess of £350k. They will also benefit from significant savings from lower FSM prices and the eradication of current budgetary concerns.